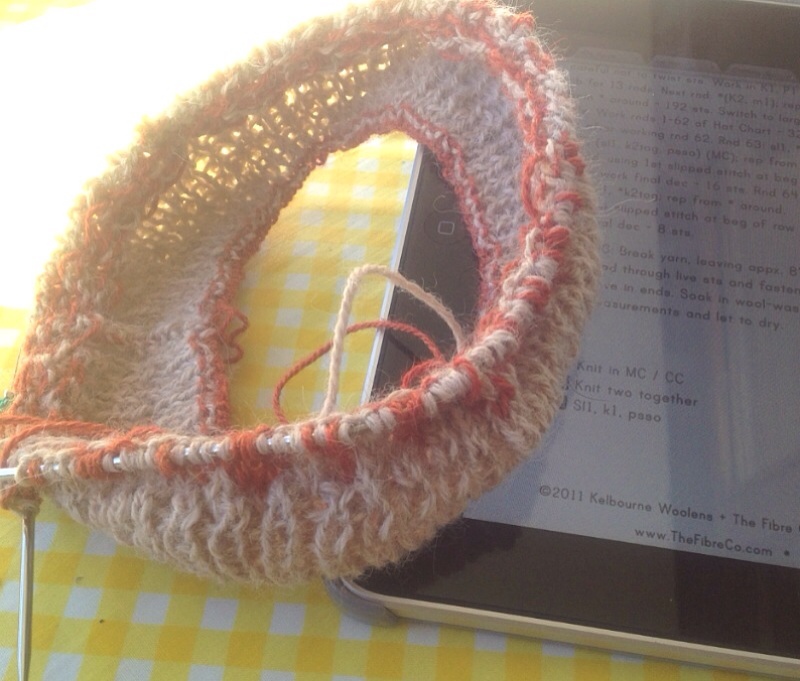 I have recently discovered a wonderful way of using my iPad for knitting, and thought I’d share it with other iPadders out there. I am currently knitting the Selbu Modern hat, a Christmas present. The pattern is not one easily remembers, and I need to look at the pattern quite regularly. Although there are a number of apps out there, ready to help the knitter with counting, diagrams and so forth, I have always felt a need for the actual printed pattern when it comes to knitting techniques like Fair Isle, lace and cables. This is because I like to scribble down my own notes right there in the pattern, not in a seperate app. Then all of a sudden I remembered another app I have, for reading articles and other PDF’s. iAnnotate is an app I’ve used a lot when reading academic articles and such, because you can highlight, write notes and even scribble right there in the app. 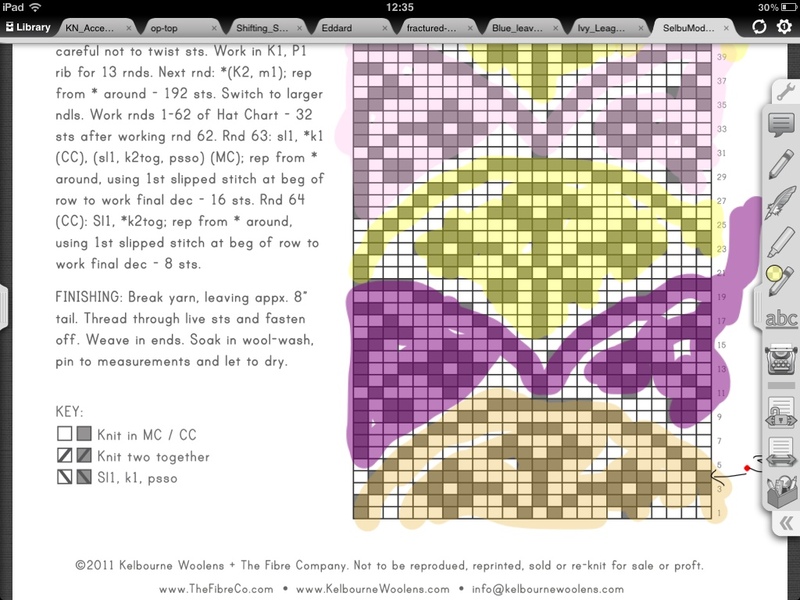 So now I use this app for my knitting projects too. It really is perfect for it, just have a look at this screenshot. I can use the color function to mark where the colors are changing in the pattern diagram, and I can scribble down notes to myself right there in the pattern! Perfect! Have you discovered any great new tools for your crafty endavours lately, or are you keeping it old school? That’s a great idea. I always think I could be using my iPad / smart phone more productively for knitting / sewing but haven’t quite figured out how yet! This is a start, thanks! Any other such tips gratefully received!